I happen to have no idea of the best mangoes in the Philippines until HB brought me these oval tropical fruit from Guimaras a few days back. I really am quite ashamed for not knowing this. I just learned that Guimaras Island is famous for producing the sweetest and the best export-quality mangoes in the Philippines. In fact, it is recognized as the best mangoes in the world by the Guinness Book of World Records and is reportedly served at the White House and Buckingham Palace. Guimaras is an island province of the Philippines located in the southwest of Panay and northwest of Negros Island in Western Visayas. Peeps, if you're planning to visit the place just remember it is strictly prohibited to bring mangoes to the island. The locals are protecting their mango produce from foreign diseases. I'm now drooling just looking at the photos. yummy! Blogtrotter Two is waiting for you in Turkey... ;) Enjoy and have a great week!! tita, masarap din ang masbate mangga hehehe, di ko lang alam kung ano mas masarap don sa dalawa hehehe...hingi ako minsan hahaha...amp. 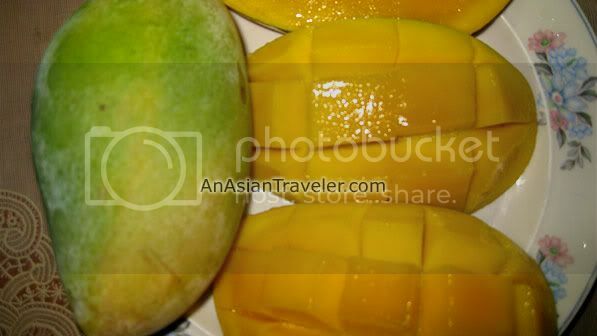 While we were in Langkawi were got to eat a fresh from the tree Mango and found it was just delicious, quite unlike any we can buy in New Zealand as these had been tree ripened. Your mangoes do look very juicy and yummy. HI, June. 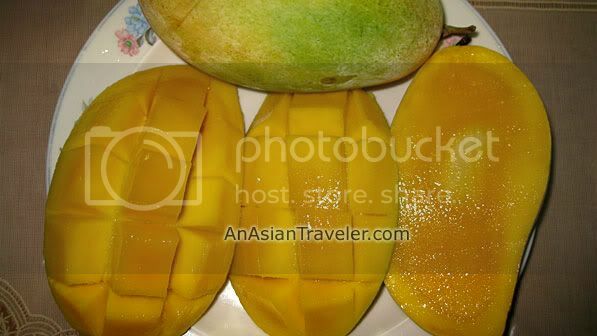 This post really made me crave for Guimaras mangoes. I used to eat this kind of mango way back when I was working in Iloilo. There's not much of it right then since this fruits are for export.